During his tour of the mirror mechanism, Giacomo Rizzolatti explains that in addition to reflecting an action, mirror neurons also help us understand emotion. 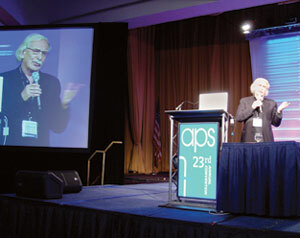 Rizzolatti delivered the Keynote Address at the APS 23rd Annual Convention. Giacomo Rizzolatti opened his keynote address at the APS 23rd Annual Convention with a neuroscience riff on a comedic classic: a guy walks into a bar. In Rizzolatti’s world, such a scene slips not into a series of one-liners but instead into philosophical consideration: Exactly how do we perceive the man holding his beer, and how do we know that he intends to drink it? The traditional answer to this question is that we make an inference about the situation based on our experiences and reach a logical conclusion. But a few neuroscientists, Rizzolatti among them, have considered a different end to the joke: Perhaps our minds share in the action being performed by someone else. Rizzolatti and others call this cognitive recording the mirror mechanism — the unique system of neurons that fire when a person takes action as well as when he or she perceives it. The bulk of Rizzolatti’s address amounted to a brief history of the mirror mechanism. If anyone is qualified to give such a tour, it’s Rizzolatti, whose laboratory at the University of Parma, Italy, discovered mirror neurons while studying monkeys in the late 1990s. To demonstrate the mirror system in action, Rizzolatti played a video of one of his first studies. In the initial scene, a monkey grasped a piece of food. This action produced a loud staccato burst, a noise that reflected the monkey’s brain activity at the moment. In the next scene, the monkey watched a researcher make the very same grasping gesture. Sure enough, the same staccato sound filled the laboratory, even though the monkey was no longer performing the action directly. The sequence represents the role of mirror neurons in “action understanding,” Rizzolatti said. In general terms, when a person sees a physical action, mirror neurons transform this information into a code of the motor act. The next time the brain sees this same act, it can draw up the diagram to understand it. 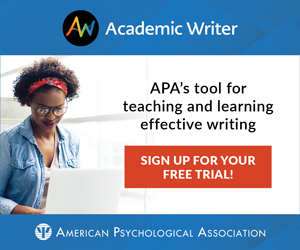 “We can activate the same motor schema when we want to do an action, when we imagine the same action in our mind, or when we observe somebody doing it,” Rizzolatti said. Rizzolatti’s own understanding of the mirror mechanism has advanced a good deal since his early discoveries. One of his most interesting recent findings is that mirror neurons even respond to specific points of view. When monkeys view a mug being grasped from a left angle, for instance, different mirror neurons fire than when they see the same action head on. This “strange capacity” to code a particular point of view led Rizzolatti to suspect that the mirror mechanism contained some sort of “backward projection.” Simply put, the idea is that the mirror mechanism has a way of replaying an action it observes to catch additional details, such as angle of vision. Recently, Rizzolatti and his collaborators used transcranial magnetic stimulation to test for backward projection in the mirror mechanism of people. In an attempt to interfere with the mirror system’s replay function, the researchers stimulated the brain at the moment of backward projection. They found that people who experienced this stimulation still knew a grasping action had been performed, but were unable to describe its point of view. In his Keynote Address, Giacomo Rizzolatti shows how mirror neurons help us anticipate the end of an action at its beginning. 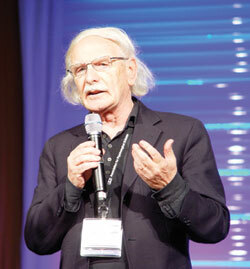 In other tests, Rizzolatti has found that mirror neurons reflect emotions as well as they reflect action. In one study, he and some collaborators placed people in a brain scanner and then introduced an odor of rotten eggs and documented which areas of the brain became active. Afterward, they presented the participants with images of neutral or disgusted faces. Sure enough, the same areas that had been active during the unpleasant odor were again activated when participants saw the face of disgust on another. “If you see an expression, a face which is laughing or is sad, you understand emotion, but it has nothing to do with your feeling of emotion,” Rizzolatti said. The mirror mechanism also seems to comprehend the intention of an action. The man at the bar from the beginning of Rizzolatti’s talk might grasp his beer in a way that suggests he will take a sip, but he also might grasp it in a manner that suggests he will place it on the counter. Early research with monkeys showed Rizzolatti that the mirror mechanism can distinguish such intentions. On first thought it seems “anti-economical” for a neuron to record this level of behavioral complexity. But Rizzolatti contends that intention is built into all phases of an action; in short, a gesture has a “kinetic melody” that forecasts its end at its beginning. Rizzolatti tested this idea in children by applying electrodes to a muscle involved in opening the mouth, then measuring the activity that occurred when the children brought chocolates to their lips. The researchers found that even before the grasping had occurred, its intention became clear to the motor system, which kept the muscle at the mouth active. When the chocolate was put into a container, there was no such response. And when participants watched others putting chocolates into their mouths, this strong activation was repeated, again before the mouth was open. When researchers tried to replicate this intention work in autistic children, Rizzolatti reported, they could not. This result may suggest that autistic children subdivide gestures into smaller pieces rather than combining action and intention into one motor melody. I am fascinated by the ‘kinetic melody’ idea. I found it difficult to comprehend your experiment exactly, however. My interest is in multi-participant conversations. I have discussed this with other Asperger friends, who all report finding it difficult to anticipate when to leap in to the conversation. We always seem to be beaten to it by a NT person. Maybe they are able to judge better where the sentence will end? Alternatively, this may happen because an AS person wants to hear the full final word without obscuring it with the new sound at the start of the new sentence, which I notice regularly happens when NTs initiate.